Not everybody wants to be in a sales job. Given a choice, most of those in sales will opt for a non-sales profile hardly understanding the fact that everyone is a salesman. But there are a few who love to sell. Their efforts are more often ignored and considered sheer good luck. However, what remains highly misunderstood is that they love their job(of selling) and their success is a direct outcome of their passion and hardwork. Dr Abhishek Tiwari is one such dynamic individual who has drawn immense praise due to his success in various sales jobs. The selling skills and techniques that he experimented and incorporated in his jobs at various points of time have benefited him with in-depth understanding of the subject. 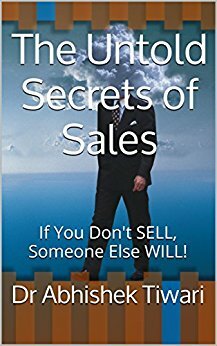 In his maiden book, The Untold Secrets of Sales, Dr Tiwari offers various very simple yet highly effective selling techniques. 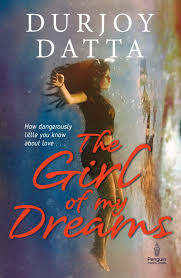 Durjoy Dutta is one of the most read Indian authors in romance genre. I had not read any of DD’s books so far but according to the reviews, all his stories are typically woven around young love birds, heartbreaks and tragedies. And that sells like hot cakes for a certain section of the market. So when I decided to pick up his new release, The Girl of My Dreams, I had an idea of what I am going to get. And since I am not a very big fan of this particular genre, I had not had my hopes too high. By those standards, the book turned out ok, albeit a few let-downs. What defines a perfect marriage? Man and wife who love each other, who understand each other and do not want to spend even a day without one another. To some of us, that seems like an ideal definition of marriage. But the majority would see a big deficiency in this equation. Being only husband and wife does not qualify as perfect marriage; they are expected to bear a child. Till then, the marriage is not considered complete. Perumal Murugan has beautifully captured this deep-rooted ideology in One Part Woman.